Free baseball is the best kind of baseball (via KellyK). Baseball is a game bounded by numbers, numbers that over time have acquired a status somewhere between immutable natural law and holy writ. Three strikes and you’re out, four balls and you walk, 90 feet between the bases, nine players on each team, and nine innings making up a game. This last number, of course, is the most flexible of them. If the teams are tied after nine, they keep going if it’s at all possible. Major-league baseball never had the tolerance for ties that professional football and hockey had for many decades. If a game ended tied, it was because of weather, or darkness, or curfew. It was never a satisfactory conclusion: the game would be replayed if the schedule permitted. Avoiding the failure of tied games helped drive the innovation of lights for night baseball, has spurred advanced groundskeeping techniques and the roofing of ballparks, and has brushed away all time limits to which games can be played. The dissatisfaction of a tie carries its opposite on the other side of the coin: the thrill of tension that comes with extra innings. All the sensations of the game are concentrated into one inning, do or die. And if the score stays tied, they do it again, and again, until we get that resolution. This is a long-winded way of saying that extra innings are fun, and memorable. And that’s enough reason to do a little digging into the underlying mechanics of extra innings. I’ve done stuff along these lines before. Back in 2012, after two straight seasons in which an over-achieving Pittsburgh Pirates squad crashed and burned after a 19-inning game, I inquired whether extremely long games hurt teams’ performance afterward. To my surprise, I found that they did, and for at least a month after the marathon in question. I won’t be getting quite that specific today. This article will delve into broader patterns of what happens in extra innings, or to get the game into extra innings. Among other things, I will try to shed light on how similar a tied 10th inning is to a tied ninth, how the Steroid Era denied us free baseball, and maybe discover where home-field advantage comes from. Very roughly, one out of every 10 major-league games goes to extra innings. Much less roughly, from the 1914 through the 2013 campaigns, 15,858 out of 169,465 regular-season games has made it to a 10th inning, a 9.36 percent rate. This method of calculation does over-weight more recent years, when more games have been played. If we average the annual rates, we come up with 9.45 percent, a sliver higher. The disparity implies that extra-inning games are becoming slightly less common, and the trendline does bear out that conclusion. One percentage point per century is a gradual trend, but it’s there. It’s not the calendar causing this dwindling, though. Another factor, that also has tended to move in one direction over the long march of time, is shifting the frequency of extra-inning games with it. That factor is run environment. Given a little thought, the effect of runs per game on extra-inning likelihood is clear. An average of four runs per game, for example, will produce run totals in a narrower band than a six-run average. That means a greater chance that team’s totals over nine innings will match. One can see this reflected in other professional sports. Soccer, notoriously low-scoring, produces a much higher proportion of regulation ties than baseball does. This is offered as one reason why American audiences, trained to an up-or-down result, haven’t embraced the sport as much of the world has. (Two reasons, if you count the low scoring.) Pro basketball, with scores hovering around 100 per game, has fewer regulation ties. Over the last three NBA seasons, just 218 of 3449 games, 6.32 percent, have gone to overtime. Run scoring in baseball has increased over the last century, if only because the starting point of 1914 falls comfortably within the Deadball Era, and because the offense-happy “Steroid Era” of the mid-1990s to late-2000s is still so close to the current day. The year-by-year track is not important to the current topic: what matters is how scoring and extra-inning frequency match up with each other. Correlation is -0.56 (higher runs per game meaning lower extra-inning frequency), and R^2 is 0.33, meaning a third of the variation in extras comes from the run environment. That is substantial correlation, if not a lockstep dependence. The straight trendline you see should probably be a curve, flattening as runs fall and more games go to extras. Eventually, runs would reach zero, all games would go to extra innings and never get out, and The Iowa Baseball Confederacy would exit magic realism and become fact. The game is not quite ready for that. Back in our reality, I will note that results are slightly different, and slightly less conclusive, if we break them up by league as well as by year. I had hoped more data points would produce a little stronger correlation. Instead, smaller samples within each data point may have had the opposite effect. 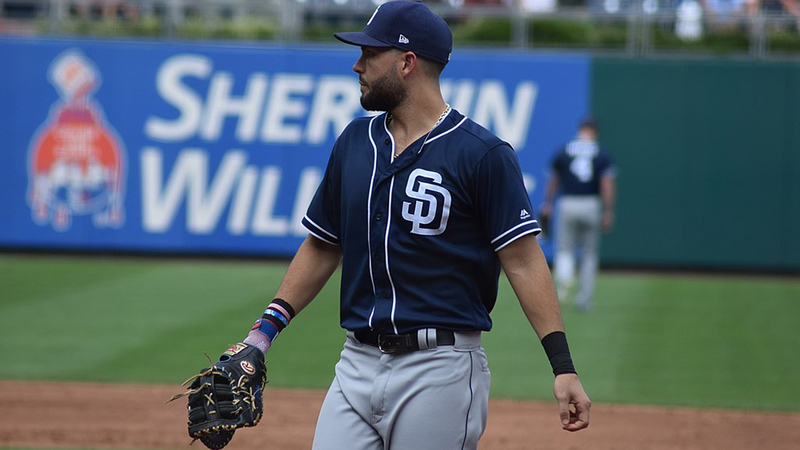 If extra-inning games are more common in a low-scoring environment, we would expect the designated hitter to have a substantial effect on rates between the American and National Leagues. This is exactly what happens. See how far apart the leagues separated, after decades of tracking closely, when the DH was instituted in 1973. The DH was intended to add action to the game. It did add some, and in this sneaky way it also took some out. Over the 41 years of the designated hitter, AL games have averaged 1.4357 plate appearances per out made. NL games have averaged 1.4258 PA per out. All else being equal, the American League has added about 0.53 plate appearances for every 54 outs, the length of a regulation game. Given the instances where the home team doesn’t bat in the ninth, or gets a walk-off win, it may be more like 0.52. But it has also wiped out some extra-inning games, about one percentage point of all games played. During the DH era, it’s taken an AL extra-inning game an average of 2.074 innings to reach a resolution. That’s 12.444 outs, which by the average given comes out to 17.87 plate appearances. This will actually end up smaller because home-team walk-off wins will not use the full inning. I will approximate and trim it down to 16 plate appearances. So the DH adds 0.52 PA per game, then subtracts 16 PA per 100 games, meaning 0.16 per game. A good 30 percent of the added ballgame action from the DH is thus taxed away in extra innings lost. This doesn’t even count the extras ending sooner due to the higher run environment—but I’m getting a little ahead of myself. A similar principle would apply to other ways of inflating the run environment, or to just letting it inflate naturally without reining it in, thinking it would add excitement to the game. It would do that, but the powers that be might be puzzled as they get less than they would expect. Back in my “Hangover Effect” article, I digressed into observing that extra innings seemed to follow a “half-life” progression. Roughly half of games that got into a specific extra inning lasted at least into the next inning. I determined that 47.03 percent of extra innings played from 1990 through 2011 ended the game being played. Not quite half-life, but pretty close. I also saw no strong indication that run environments altered the rate of resolution. For this article I took a longer look at those numbers, stretching the timeframe back to 1958 and ahead to 2013. I would have liked to go further back, but game records start getting spotty before 1958, with extra-inning data increasingly unavailable. I was tempted to keep going for at least a decade, hoping the thinning data would still be representative of those years, but monkeying with data is a temptation I usually can resist. My standard is what I’m calling rate of resolution, the chance that a particular extra inning will decide the game. Another way of looking at it is the chance that one team will score more runs than the other in that inning, which ipso facto ends the game. One can also take the inverse of this number to represent the average number of innings a game will last from that particular extra inning onward. The 47.03 percent rate of resolution I gave above thus translates to an average game length of 2.126 innings. That’s a mean, not a median: plenty of games will end with one extra inning, but the dwindling number of games that last several innings longer balance them out. I will work mainly with rate of resolution. Rates fluctuate rather widely across the years, only partly due to sample sizes per year in each league that, even in today’s expanded era, don’t get far above 100 games. Both leagues have a downward spike in the late 1960s corresponding to the second Deadball Era. They rise notably around 1987, when offense soared, then plunge during the correction that promptly followed. Both reach their greatest heights at the end of the 1990s, and are currently trending down, though on sharply wandering paths. There’s a reason I show the leagues separately. They are different in run environment, and have been structurally so since the American League began using the designated hitter in 1973. With pitchers batting for themselves, the NL has a well-documented lower count of runs per game. Given the correlation shown earlier, we should expect that AL extra-inning games resolve themselves quicker than in National League contests. Here I split the survey period into three groups, one before the DH and two after. The post-DH split gives us a final period that can be considered the “modern” era of closer usage. It gives Tony LaRussa’s innovation of using Dennis Eckersley primarily in ninth-inning save situations several years to filter through the rest of the league. First, though, we’re looking at whether DH-less games take longer to resolve. And so they do. The chances of an extra inning being the decisive one fall by one and a half percentage points when you take away the designated hitter. The AL rate for the whole DH era is 46.36 percent, while for the NL it is 44.83 percent. Looked at the other way, NL extra-inning games lasted 0.074 innings longer in the DH era than AL extra-inning games. That adds another percentage point-plus to the “action tax” I mentioned earlier. For the entire studied era, AL games have a resolution rate in extras of 45.12 percent, and the NL at 44.07 percent, averaging to an overall 44.59 percent. That’s significantly below the 47.03 percent rate I figured for 1990-2011, which had a higher run environment, so this gap is not unexpected. The most recent decades resolve their extra innings significantly faster than those before, by three or four percentage points. The offensive boom of the Steroid Era is an obvious reason for this, but it’s possible modern pitching doctrine might contribute something. Shorter starts, expanded bullpens, and shorter relief stints may lead to crucial extra innings being pitched by marginal arms. That would raise run scoring, and hence rate of resolution, as well as provide one more way for old-timers to grumble about pitching these days. I have been treating extra innings as something distinct from the rest of the game, but there is one instance when regulation play is functionally identical to extras. 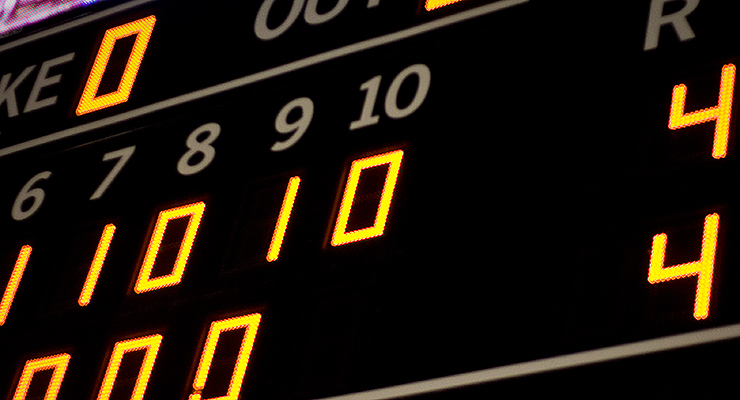 If a game is tied after eight innings, the ninth acts like an extra inning in that it’s sudden-death: whichever team scores more runs that inning wins. We might thus expect a tied ninth to closely resemble a tied extra frame. Closely, yes, but not exactly. For the 1958-2013 era, ninth innings have a resolution rate a hair below extras, 43.89 percent against 44.59. AL games run 0.8 percent lower; NL games 0.6 percent. Assuming this represents a real difference and not just random variation, what might cause this? As before, this question breaks down into matters of era and of league. Rather than give breakdowns of rates of resolution in the ninth, then make comparisons with extra innings, I will go with directly with the differentials. The pattern they show is at once easily explained and baffling. Before the DH, both leagues saw tied ninth innings resolve more often than tied extra innings. In the last couple decades, extra innings have been likelier to resolve ties than the ninth. This long-term change makes sense. Modern closers, used primarily in the ninth, suppress scoring in that inning and thus make it less likely to resolve a tie. One can argue also that enlarged modern bullpens crowd out potential pinch-hitters who could be used in the crucial ninth to break a tie (and once used, not be around to break ties in extras). It’s the transitional phase, the first couple decades of the designated hitter, that doesn’t behave. The league that changes to a DH doesn’t meaningfully change its differential, while the league that doesn’t change does change. Sample sizes are in the thousands of each type of game per league during that period, so the figures shouldn’t be that volatile. I cannot contrive a reason to explain it. Combine the leagues, though, and the early DH era falls neatly midway between the others in its differential, half a percentage point higher for extras. Perhaps I should have kept it that simple to begin with. There’s one more comparison I will make. Every game begins with a tie score, just as every extra inning does. We can get something analogous to a resolution rate by tallying how many games have a leader after one inning of play. That rate outstrips the resolution rate for extra innings. For the era in question, 47.75 percent of first innings produce a leader, against 44.59 percent of extra innings producing one. An obvious factor at work is the higher run environment: lineups are created to produce maximum runs in the first inning. That more than compensates for a balancing factor: there is no urgency in leading through one, the way there is for getting that lead in the 10th or beyond. This doesn’t teach us a whole lot, save to underscore the lesson that extra innings are something different from the rest of a game. Even a tied ninth, and even if we cannot entirely explain why. We all know about home-field advantage, though isolating its components is a tricky matter. There’s the psychological factor, the boost players get from home-town fans cheering them on, or from being in familiar surroundings. There’s a factor of game structure, where the home team bats last and has the tactical advantage of knowing in late innings how many runs they need to score or prevent to win the game. There may well be a physical fatigue factor, where the team on a road trip has gotten less rest lately and is therefore disadvantaged. All these factors will come into play in extra innings, but in new ratios. The game structure will rise to dominance, as every inning the home team will know what they must do to win or re-tie the game, and can play small-ball or try to set up a big inning as necessary. The fans will still be there, cheering even harder, but presumably with less time in which to have their effect, and after nine innings of play, both teams are likely feeling fatigue. With the variables so jumbled, it’s no surprise that home records in extra inning games will be different from the overall numbers. For the century of 1914-2013—averaging by year as usual—winning percentage for all home teams stands at .54175, and in extra innings the home nine performs at .52513. The overall numbers are much less volatile than the extra-inning ones, for the obvious sample-size causes, and even the naked eye can discern how the red line fluctuates around a higher level, seldom topped by the blue. So home-field advantage is diminished in extra innings by about 40 percent, over a span of gameplay that’s generally far shorter than a nine-inning game. What might this tell us? What follows is a back-of-the-envelope calculation, but for a general idea of the numbers it should serve us fine. The average number of extra innings played in a game tied through nine, using the 1958-2013 data, is 2.24. For the same era, the average length of all games, including extras and partial final frames due to home teams leading or getting walk-off wins, comes out to 8.95 innings. Therefore, extra innings concentrate 60 percent of the home-field advantage (.02513 divided by .04175) into 25 percent of the amount of gameplay (2.24 innings divided by 8.95 innings). I will make S the portion of home-field advantage in the average game that comes from structure (i.e., batting last), and PP the portion that is physical and psychological (and anything else). S plus PP will have to add up to one. Extra-inning games will have 25 percent of the PP, and apparently 2.24 times the S—but this is slightly deceptive. Average games include some extra-inning contests, meaning added potential final innings. I’ll elide the math here, and just say the ratio ends up at 1.85 rather than 2.24. Since PP + S must equal one, PP ends up at 0.781 and S at 0.219. In the average game, the psychological and physiological component is 78 percent of home-field advantage, with the batting-last advantage a mere 22 percent. Go into extras, though, and the equation shifts dramatically. Run the variables through the right-hand side of the equation, and the advantage accruing from batting last becomes just over twice as important as the rest, 67 to 33 percent, over the average length of extras. This changes if you don’t assume that the structural home advantage is contained entirely in potential final innings. Say that there’s some strategic edge in earlier innings, adding up to one half of what you get in the ninth. I’ll elide the math again and say that the multiplier to S for extras would drop from 1.85 to 1.6. The PP/S ratio for all games would slip to 74/26, and the effect in extras would edge down to 65.5 percent structural, 34.5 percent psycho-physical. I will emphasize again that these are back-of-the-envelope calculations, though I may have gone to a manila envelope at some point. A hiccup of randomness in the numbers for extra-inning home wins or rate of resolution could send everything skewing by several percentage points. As a first-order approximation, though, I think the figures hold up, and give us a look at the basis of home-field advantage we may not have had before. Everything I’ve written about so far pertains to regular-season play, but I also took a peek at the World Series and other post-season games. Given that playoff games should involve teams of similar talent levels, rather than the more random distribution of the previous six months, I anticipated that the resulting closer contests would lead to more extra-inning games. Also, the 10 World Series played before my 1914-2013 survey term were in the Deadball Era, which I’ve shown ought to lead to more 10th innings. The World Series laughed at my logical conclusions. Of the 634 World Series games played, 57 have gone to extra innings, a rate of 8.99 percent. That comes in under the 9.36 percent rate of the last century of regular-season play. And in that deadball section I mentioned, the only two Series to have more than one extra-inning game were in 1911 and 1912, the oasis of the deadball desert, when run scoring briefly shot up only to be tamped back down by 1913. The other playoff rounds, though, give much more support to my intellectual efforts. The League Championship Series in particular have had notably more extra-inning games than the average, and the AL more so than the NL. It’s not a decisively large sample, but I’ll take solace where I can get it. That makes the overall post-season rate 10.17 percent, noticeably more frequent than the regular season if not exactly a mathematical proof. Rates of resolution in the extra frames come out higher in the post-season, averaging 47.46 percent for all the games. This includes three early World Series games that were called for darkness after going into extras: a 12-inning game in 1907, and 10-inning contests in 1912 and 1922. We reach this figure in a peculiar unbalanced fashion. Resolution rate for the 10th inning in the postseason is just over 39 percent, 56 games out of 143. The 11th and 12th innings, though, almost always finished things off. Out of 85 games tied through 10 (not counting the two called for darkness at that point), just 13 concluded the 12th inning still tied. Rates of resolution are 52.9 percent in the 11th and a huge 67.5 percent in the 12th. The attrition’s even stronger in the World Series, where just 3 of 55 extra-inning games that could have reached the 12th (without darkness intervening) did. Granted, 143 extra-inning games and 295 innings isn’t quite long enough for the bumps of randomness to smooth out. One could more easily suppose an underlying trend if extra-inning frequency and rate of resolution departed from regular-season norms in the same direction, e.g., if extended games were more common and took longer to finish. Instead, they go opposite ways. Perhaps the most puzzling aspect of extra innings in the postseason is how strongly the home team is favored in those games. Excluding the three World Series games that ended in extra-inning ties, home teams have gone 33-21 in Fall Classic extras. It’s a combined 20-11 in the Division Series, and 19-10 in the ALCS. Only the NLCS deviates, with an 8-18 record for the home team after nine. Altogether, post-season extra-inning games favor the home squad by 80-60, or 57.1 percent. This beats not only the regular-season rate of 52.5 percent, but the home-field advantage for all games. Again, the sample isn’t huge, so probabilistically it’s not really out of line. The higher than 60 percent rate in the World Series was an eye-opener, though, and if the NLCS hadn’t pulled things down, the post-season rate would have been above 63 percent. It hints that something unusual may be affecting the post-season, but since getting a deeper, more reliable sample will take a few decades, a hint is all we have now. But who knows: maybe we can clean up when playoff games go into the 10th with a little betting action—for entertainment purposes only. The NLCS has that mark beaten, and managed it when the playoff was just best-of-five. In 1980, the Philadelphia Phillies and Houston Astros went the distance and then some, the last four of their five contests going to extras. Houston won the first two of them to pull ahead 2-1 in the series, but the Phillies claimed the final two, both at the Astrodome, for just their third pennant ever. Philadelphia’s ace reliever Tug McGraw could have put in for overtime, pitching in all five games, and only once entering during the extras. There have never been three consecutive World Series games to go long, and a string of two has happened just three times: 1933, 1991, and 2001. On the other hand, there was a stretch of six whole Series from 1927 to 1932 with no extra-inning games. Counting the final two games in ’26 and the first three in ’33, this made a string of 35 World Series games that ended in regulation. But that isn’t the record. Between Game Three in 1980 and the notorious Game Six in 1986, there were 38 straight games that ended in nine. In the playoff era, 1969 and on, there have been three years when all post-season series have had at least one extra-inning game. This happened in 1991 and 1986, the latter being little surprise: that year is widely considered the best playoff season ever, and extra-inning games do make for some great baseball. The third time was 1973, a more impressive feat since the LCS round then was best-of-five instead of seven. In the divisional-round era, we have never seen all seven playoff series have an extra-inning game. Twice in that time we have seen a whitewash, no extra innings in all of the playoffs. It happened in 2006, over 30 games, and in 2002, across 34 games. The wild-card round makes a nine-for-nine all-extras postseason next to impossible now, but the shutout will only be a little more uncommon. I didn’t expect to discover something fundamental about home-field advantage when I began this work—and maybe I haven’t, if I botched my algebra or someone beat me to it—but that’s fine. If we completely expected it, it wouldn’t be a discovery. That might make finding the inverse relation between run environment and frequency of extra-inning games less of a discovery, and more a confirmation of a common-sense hypothesis with hard data. That’s also fine. You won’t find me scorning backing up one’s guesses with hard data, either. Extra innings turn out be something of a baseball laboratory. They let us isolate certain portions of the game and study them more closely. We may not think about that when Game Six of the World Series is running deep into the night and the tension is so wonderful we can scarcely bear it. That, as is becoming my closing theme, is fine. We can enjoy the game now, and study it in the morning. Not only was Baseball-Reference its usual indispensable self, but I got a bit of help from sister site Baseketball-Reference regarding overtime rates in pro hoops. I’m glad to provide this acknowledgment, as it’s probably the best publicity the NBA has had in weeks. All you have to do is look at runs scored per inning for home and visitors for innings one through eight and you see that the majority of the home field advantage happens in the first inning. The reason for this has been discussed in previous threads at The Book Blog, but no definitive answer has been found. There was no second Deadball Era in the 1960’s. What evidence do you have that the ball was dead? How do you account for all the home runs if the ball was dead? Cliff: I was using the term as shorthand to describe a very low-scoring environment. So if in a year or two you hear me talking about today as the Third Deadball Era, don’t panic.